Professional librarians today are expected to be active in our organizations and in many cases, to be active writers, producing peer reviewed articles, book chapters and even books. But writing does not come easily to many, and even the most prolific writers sometimes encounter the dreaded writer’s block. This past year I participated in a Professional Writing Group at my library. I found the camaraderie of meeting with other librarians who were also committed to producing several pieces of academic writing over the year-long program to be inspiring and motivational. We were able to support one another as we each experienced snags in our projects, and projects that may have been abandoned, gained new life through the encouragement of fellow writers. I found myself to be more prolific than ever, maintaining my monthly posts to this blog, completing several book reviews for Library Journal, and completing both a feature article due to appear in CR&L News in April, and a scholarly literature review which as been accepted for publication in the Journal of Academic Librarianship. Throughout the process of completing the literature review, I hit several walls that were very difficult to break through. I wish I had found Tennis’ and Morton’s book early on during those stressful times. In their book, the authors describe the six emotional pitfalls that most writers may face during their writing projects, often in an escalating spiral: Doubt, Shame, Yearning, Fear, Judgement and Arrogance. After we understand the emotions behind our blocks, the authors then describe the Finishing School Method, with Morton sharing her experiences as a participant in Tennis’ school for the first time. The focus of the Finishing School is not on critique of the writing itself, but on the systematic production of product, good or bad. Accountability to a fellow school participant provides the incentive to continue to meet agreed upon goals, and setting consistent, achievable goals helps cement the writing process that will carry the writer to successful completion. The book concludes with suggestions for developing your own Finishing School group in your area. I enjoyed reading Finishing School. Alas, since both of my writing projects were completed prior to finding this book, I find myself currently struggling with a totally different writer’s dilemma: finding another interesting topic to write about. Ah well. I wonder if there is another book for that? How about you? 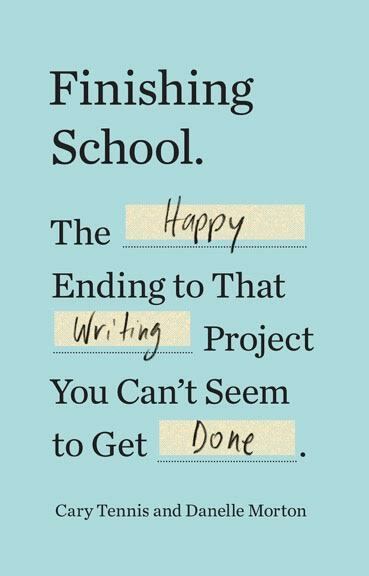 How is your professional writing going? What do you find helpful when hitting a writer’s block? How do you find new topics to write about? Share with us so we can all learn together. There have recently been a number of new blog posts and articles on power user tips for OneNote. Blog posters at Petri.com have a series they are labeling as “Leveraging OneNote” which I found well worth reading. Recent posts in the series has talked about manipulating lists and using OneNote for project management. While not a new post, this post from Eva Lantsoght over at PhD Talk might prove helpful to those of us with academic writing goals for the new year. Check out Writer’s Lab: 30 Ways to Tackle Writer’s Block. If you are looking for better ways to quickly scan documents on the go and are tired with the resolution of your phone’s camera, try one of these scanning apps recommended recently by PC Magazine: The Best Mobile Scanning Apps of 2016. Several of my favorite sources have posted summaries of their best posts in 2016. In case you missed them the first time around, they are worth visiting now: Michael Hyatt’s Top 10 posts/podcasts of 2016 and also his list for Top 5 Business Books of 2016. 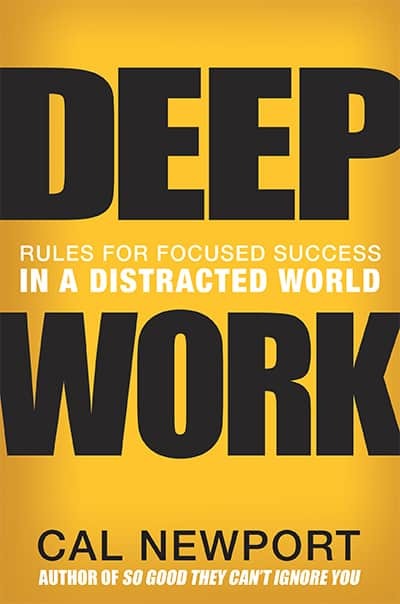 (One of which is Cal Newport’s book, Deep Work, that I also reviewed here in October! From Bonnie Stachowiak at Teaching in Higher Ed we have her Top 10 Downloaded podcasts of 2016. And while we are visiting the Teaching in Higher Ed site, Bonnie also had a great post recently on her recently updated Personal Knowledge Management System. From the Greater Good Science Center we have Their Top 10 Insights from ‘The Science of a Meaningful Life’ in 2016. The folks at this Berkeley center always have interesting posts. And the librarian in me couldn’t pass up the opportunity to highlight their post on Our Favorite Books of 2016. By the way, their great MOOC, The Science of Happiness started up again on Jan 3rd. You can still register and catch up. I really loved this study when I did it in 2014 (see my discussion of it here) and recommend it to all of my readers as well. Another year is reaching its end. I would like to express my appreciation for my loyal blog readers, and wish for you, the most Blessed of Holiday Seasons. Just a quick note to all my subscribers. I just learned of a free online conference to learn the latest tips and tricks of OneNote going on this week: November 12 -17th. The Learn OneNote Conference 2016 requires only registration (free) and the pre-recorded videos from OneNote experts can be watched at any time during this one week window. All video content will be removed 48 hours after the conference end on November 17th. You will be offered an option to purchase a Lifetime Access pass to watch the sessions later, but that is not required. In a world where recent attention has been on the wonders of individuals who have mastered multitasking comes this thoughtful book from Cal Newport, author of “So Good They Can’t Ignore You.” While not the only proponent of single tasking, Deep Work was a drink of cool water for this librarian. Multitasking takes away focus. Recent research has shown that multitasking really is just single-tasking with rapid switches of attention between the various tasks before the individual. This makes focus much more difficult for most, and impossible for some. Newport explains that when you switch your attention, “just to quickly check email”, for example, the effect of that mind switch leaves up to 10-20 minutes of residue in your mind that serves as a kind of cognitive handicap that results in static when you try to re-focus on your topic of deep work. Deep Work is “the ability to focus without distraction on a cognitively demanding task. It’s a skill that allows you to quickly master complicated information and produce better results in less time.” (per Newport) Newport spends a significant amount of time explaining the value of deep work to one’s productivity and success, and then presents a plan for training us to become deeper workers ourselves. More than half the book is filled with various strategies for developing the skills needed for deep focus. Caution! Deep work is hard. Don’t read this book if you are looking for a way to make your life easier. Deep work takes effort and practice to attain, just like any other skill.. in fact, just as multitasking took work to achieve. But its benefits, including the satisfaction received by simply practicing the technique, proponents argue, make the effort more than worthwhile. Deep work allows you to learn new complicated things more quickly. When you attain the ability to focus deeply, you tend to retain more information and assimilate new skills more quickly. The better you become at deep work, the more high quality work you can produce in a given unit time. Its benefit expands as your skill at doing deep work increases. Newport describes in his book how deep work allowed him to not only complete this book, but how he also wrote twice the number of peer reviewed papers during the same year. This kind of focused achievement is impressive to say the least. What are some of Newport’s Tips for starting to practice deep work? Quit social media. You must be extremely selective about the apps and tools you use. What applications provide “substantial positive benefits” to your work? Those are the tools that MIGHT be worth keeping. Otherwise, be ruthless about striking out the others. Using website blockers like Leechblock (Firefox) or StayFocused (Chrome) might help you to avoid all the attention grabbing sites as you begin to train your mind for Deep Work. Try creating a Rhythmic philosophy of work; in other words, schedule your deep work for the same time every day. If your everyday schedule doesn’t allow enough time for deep work, try a Bi-modal philosophy; in other words, choose certain days where you choose to only do deep work. As a third alternative, you might try a Journalistic philosophy; this method allows you to schedule specific blocks of deep work based on your responsibilities and meetings for the week ahead. Deep work is a commitment just as any other change that you choose to make in your life. The more you practice doing deep work, the better you will get at it and the longer you will be able to devote to deep work sessions and the more you will produce from the sessions. There are many tools available for the writer today. Recently, I was asked to provide a brief overview of the more popular low-cost tools out there for new writers. Here are a few of the ones, in no particular order, that I found during my preparation for that presentation to my writing group. Scrivener: Of the tools we will look at today, Scrivener is sort of the Cadillac version of writing tools. Available on both iOS and Windows, this tool has been around since 2006 and was specifically created to aid in the development of long writing projects. There is a free trial that lasts for 30 days of actual use (vs 30 calendar days), but the one-time cost is only $40. There is a definite learning curve, but for dedicated writers who take the time to learn the tool, there is a dedicated following. The tool facilitates the re-organization and shuffling involved in more involved writing projects. Hemmingway App This desktop application, for both Mac and Windows, grades the readability of your writing by identifying extraneous adverbs, the use of passive voice, and unnecessarily complicated words. Trello While not specifically designed for in-depth writing projects, this project organizer has promising applications for complicated writing projects, with its index card style layout. It allows for concepts to be easily expanded and moved around while preserving that all-important visual overview of your article or book. Grammarly This is a free website tool that will check your grammar, looks for contextual errors and suggests better vocabulary choices. I could go on for many more hours, but will stop here. Did I cover your favorite tools? What helps you most when working on your academic writing projects? Share and let’s continue to learn together.